There are enough causes of diabetes. Unfortunately, most people only know that the cause of Diabetes disease is due to genetic factors alone. In fact, genetic factors are just one of the factors that trigger DM disease. Other causes of diabetes mellitus that also need to watch out for is obese or overweight. 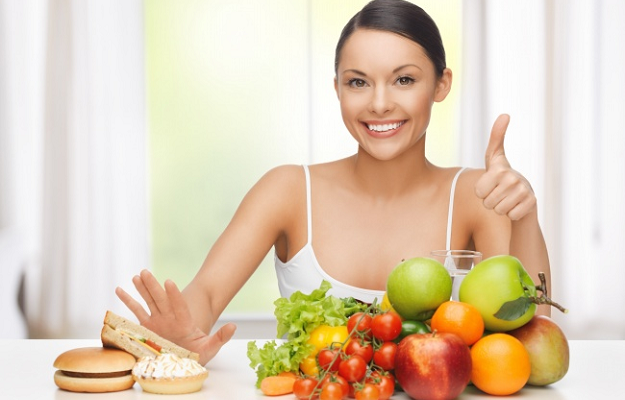 For obese individuals who have been diagnosed Diabetes is very important to maintain dietary patterns that must be consumed. 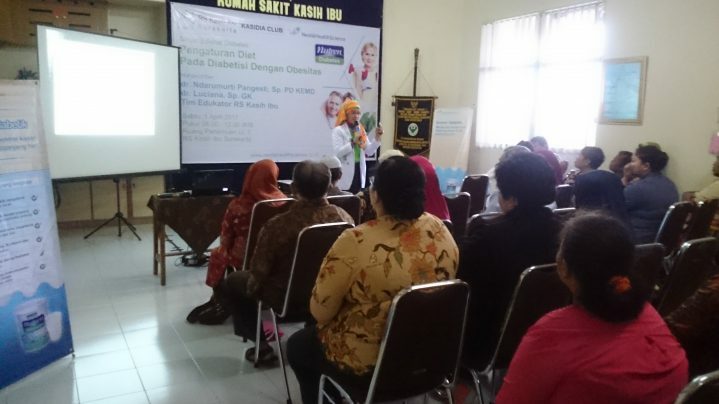 The background that underlies the DM Education Team RS Kasih Ibu holds a Healthy Discussion event with the theme “Diet Setup on Diabetesi with Obesity”. 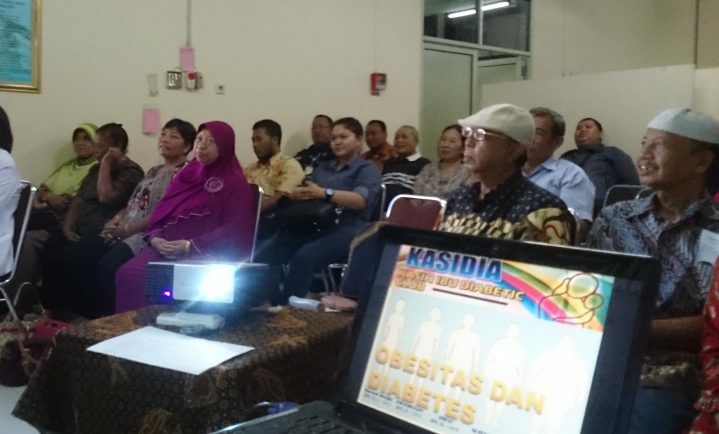 Healthy Discussion event was held on Saturday 1 April 2017 at 08.00 am in the Hall of Kasih Ibu Hospital Office Building, attended by patients and hospital employees who have diabetes with obesity. 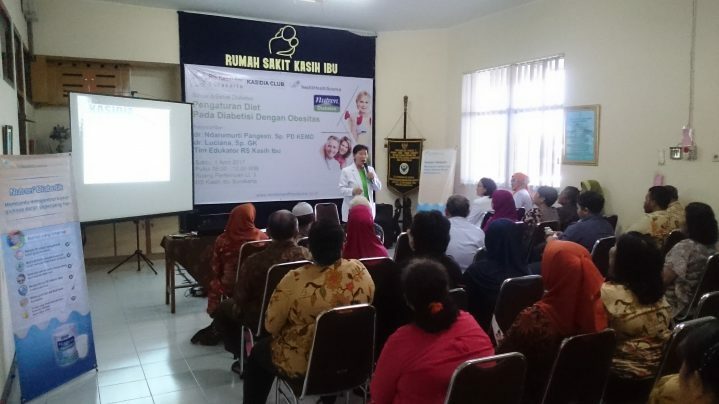 In this event we invited 2 speakers namely dr. Ndarumurti Pangesti Sp.PD KEMD with material about Obesity and Diabetes and dr. Luciana Sp.GK on Diet Patterns for Diabetes patients with Obesity. At the beginning of the event in the contents of greeting by drg Haryani as well as providing motivation for participants.